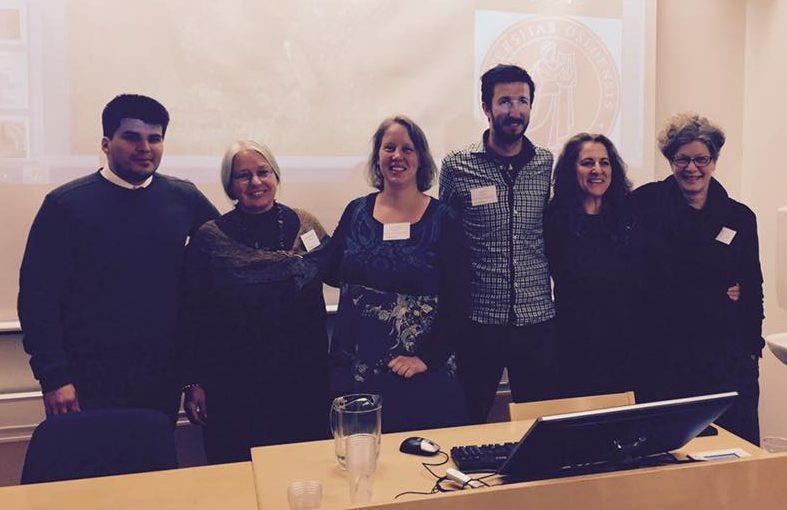 It was my pleasure to present a paper at the Nordic Bronze Age Symposium in Oslo . The conference focused on contrasts and connections in the Bronze Age. Presenters covered a wide range of topics from landscape, technology, social practices and materialities. The session that I participated in was titled Nobody is Perfect: Contrasts in Craft. I spoke about recognising the learning process by examining mistakes in metalwork. It was a great session and I hope that the research presented here will spur others to examine the flaws in objects to understand the processes of craft production. Too often artefacts are selected for examination and display because of their perfection, but perfection can limit us. We see the end product but by the very process of achieving perfection the traces of the journey to mastery are erased. When we examine flaws, both minor and major, the world opens up.We can follow the movements of the artisan’s hands and see the sequence in which an object was made. We can see the choices made during production. Was there a flawed section of decoration because a master artisan was momentarily distracted, or was it because an apprentice was still awkward using tools? We can also question why the flaws remain; why the object survives, rather than having been destroyed or repaired. The flaws, repairs, and mistakes all contribute to the object’s biography and allow us a glimpse of craft and decoration in ancient cultures. The papers presented in this session examined these and more subjects on mistakes in craft, and generated lively discussion.